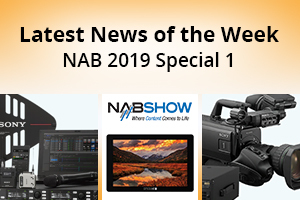 The NAB exhibition from Las Vegas is with us once again and below are some of the amazing new products showing at this year's show. Check out this page regularly as we will be updating it as more details come through from the show floor. *Note: All prices and availabilities are tentative and subject to change. Combining the compact size and low weight of the popular ALEXA Mini with the large-format ALEXA LF sensor,it brings exciting new creative possibilities to ARRI’s large-format camera system. It delivers similar performance to its predecessor only this time it's half the size and half the weight. . 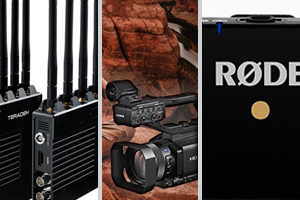 It produces cine-quality LED light, is easy to transport and quick to rig in the studio or on location. The XA40 camcorder features a 1/2.3 - type CMOS Sensor along with DIGIC DV6 image processor. 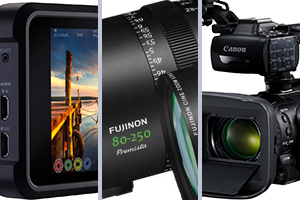 With Over Sampling HD processing this results in improved Full HD image quality. Atomos Shogun 7 - Unbelievable HDR from the most powerful Shogun yet! 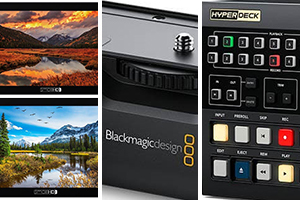 It is a precision HDR monitor-recorder-switcher designed for the film and video professional.